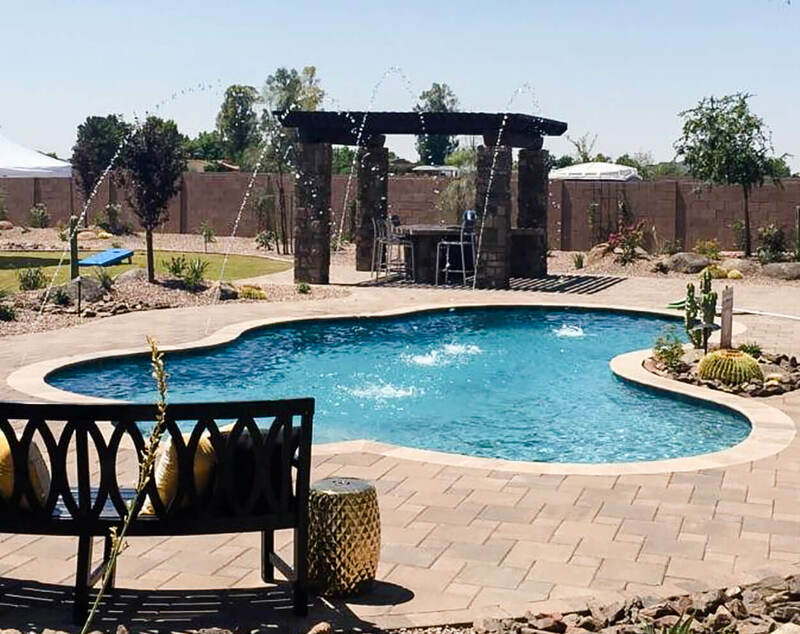 Many families in Phoenix beat the heat by installing a backyard swimming pool. We love these projects! 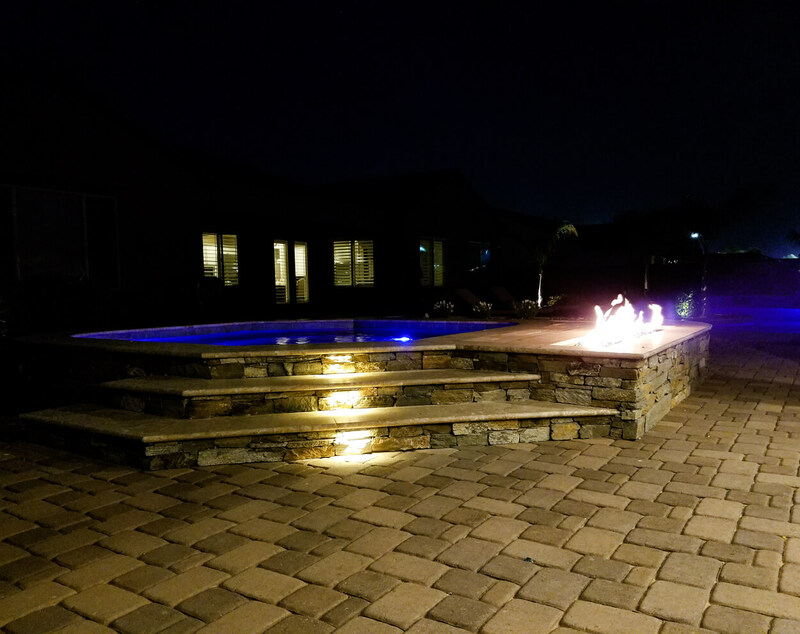 With options such as mosaic tile, waterfalls, decks, spas, and hot tubs, there are so many ways to get creative, but with so much to choose from, it can get overwhelming. That’s where Straight Line’s pool design expertise comes into play. 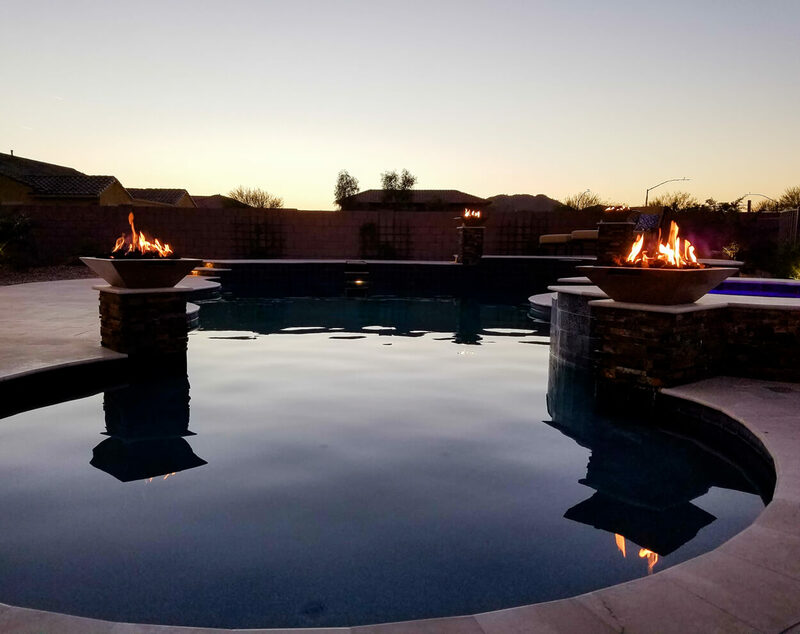 We can guide you through the process, so that you have the backyard swimming pool and spa area of your dreams when all the work is done. Whether you’re looking for modern contemporary design with clean lines, or organic shapes and funky textures, we can create it. What will you be doing in your new pool? 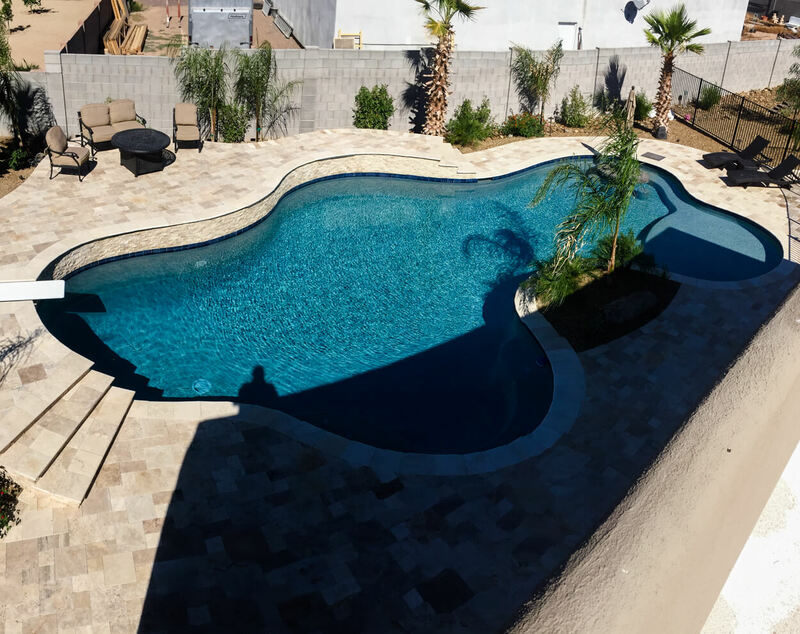 Whether it’s training for a triathlon, or playing pool volleyball with the kids, we will create a pool that will work for your family now, and in the future. We’ll also help you create a beautiful, functional and safe area that you will be able to enjoy for years. Although it’s a major focal point, the pool area is just one aspect of the overall backyard design. We see the big picture for your backyard, and create a plan for your entire space. 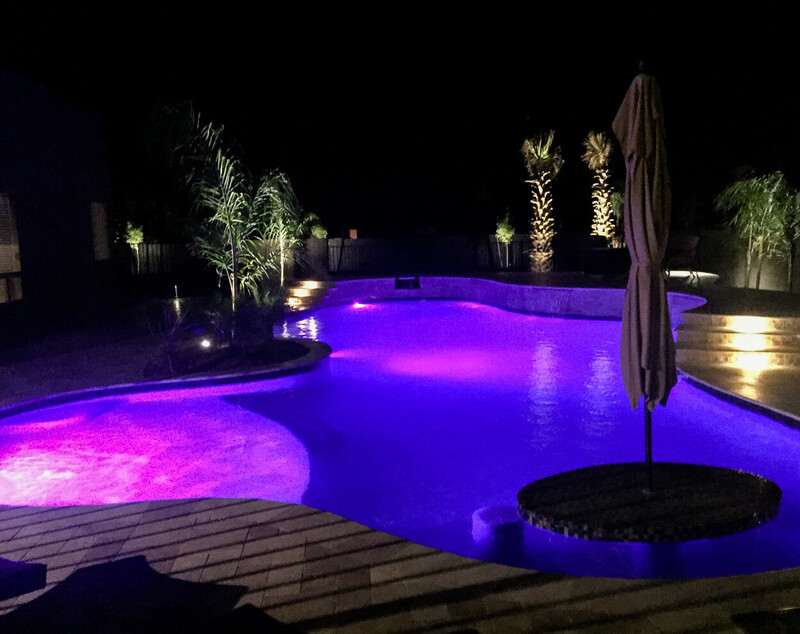 Consider add-ons such as a lighting concept so you can enjoy the pool at night. Lighting not only helps you get around, it highlights the design features, and can even add privacy. 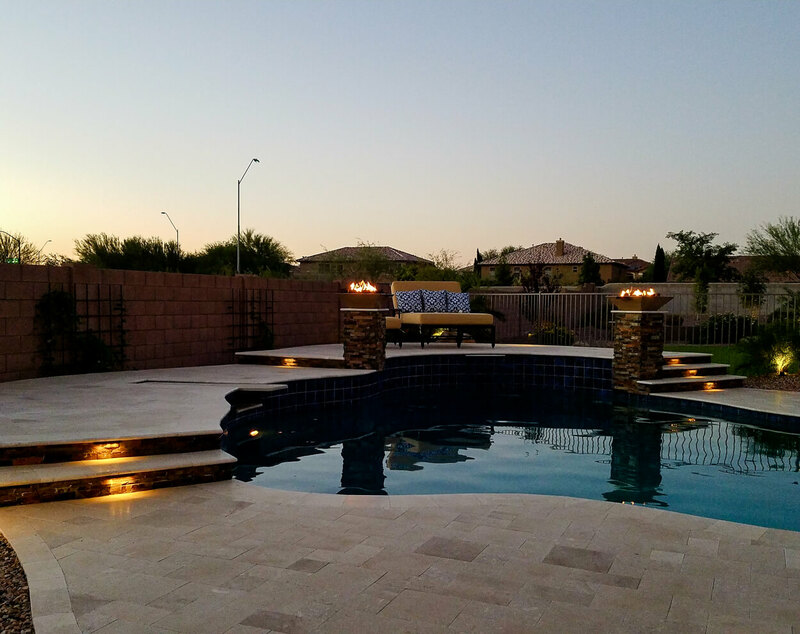 Add a built in spa or custom decking to add to the elegance of the space with stone and tile work. We look at the whole yard and keep the end result in mind even if it’s several projects down the line. 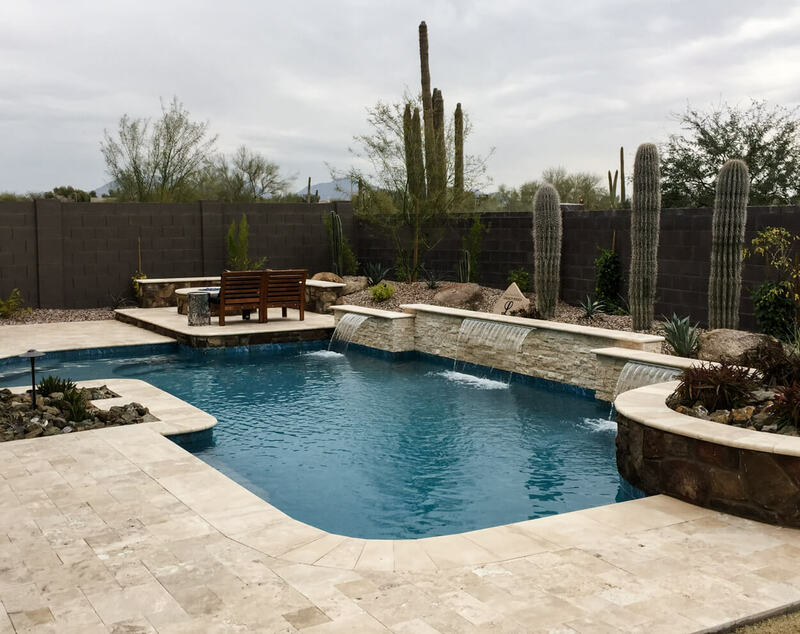 What other features do you want incorporated in your pool landscape? 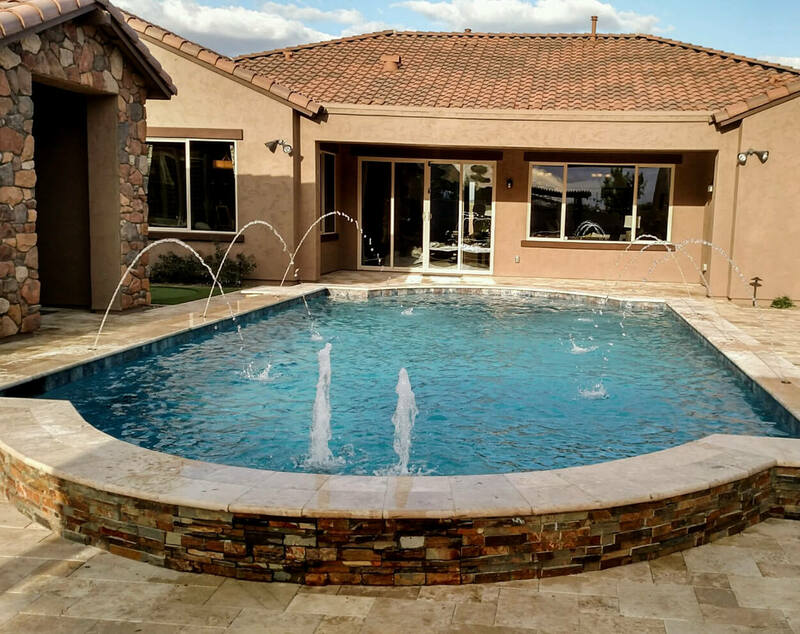 We can add fountains, fire features, spas, diving boards and slides. What about a poolside cooking and entertaining area that can seat an intimate group or a large party? It’s up to you. You dream it and we’ll make it a reality. Some pool builders are only interested in selling you a pool. Their designs can be cookie cutter and just plug that into your yard with a small amount of customization. Our designs are all completely custom for your yard, family, and needs. 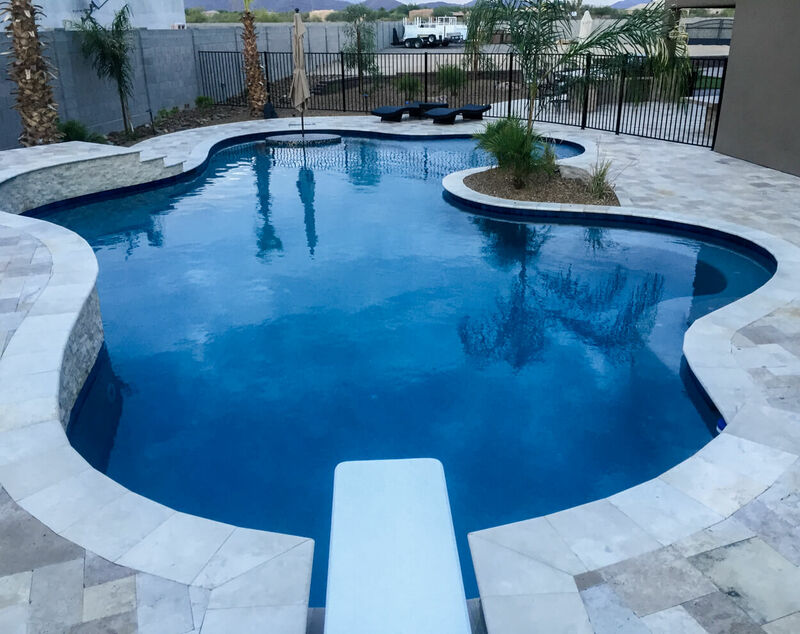 Straight Line partners with our preferred pool contractors in your pool project, but the whole project is managed by Straight Line, and we create the design plan, and take care of all the details. We have found that this is the best way to get you the pool of your dreams. There are two contractors involved, but with no markup on either side you’ll save money in the long run. 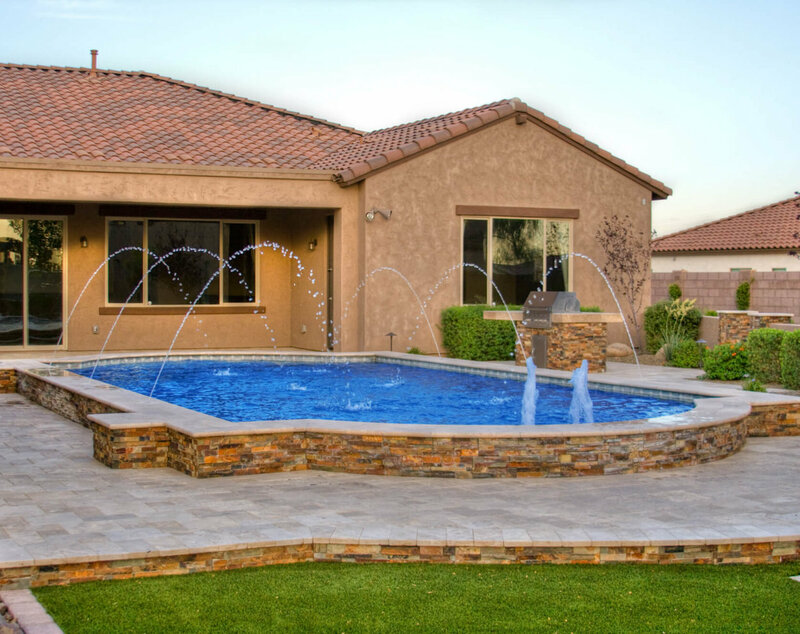 The pool builder can focus on what he is good at, and with 30+ years of experience he is the best in the business. 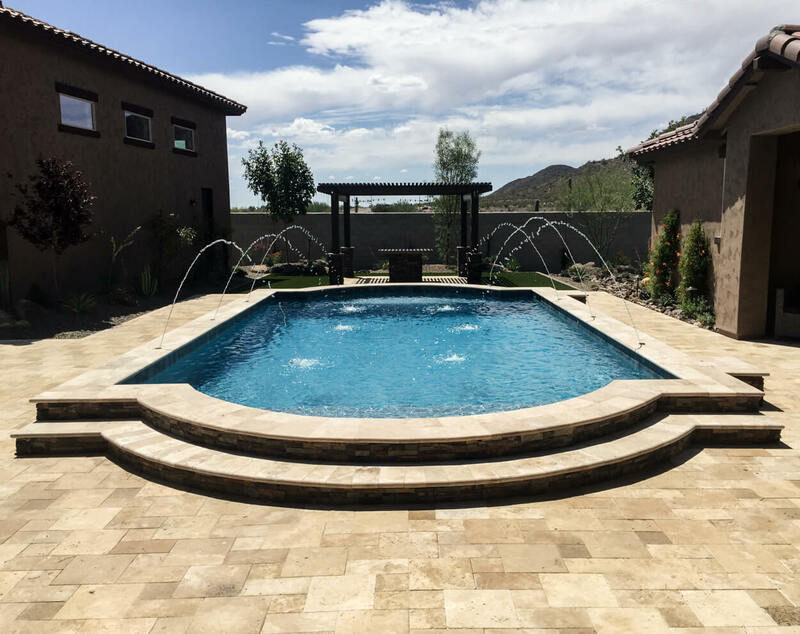 We focus on what we are really good at, the overall pool and yard landscape design and planning, and the project management. 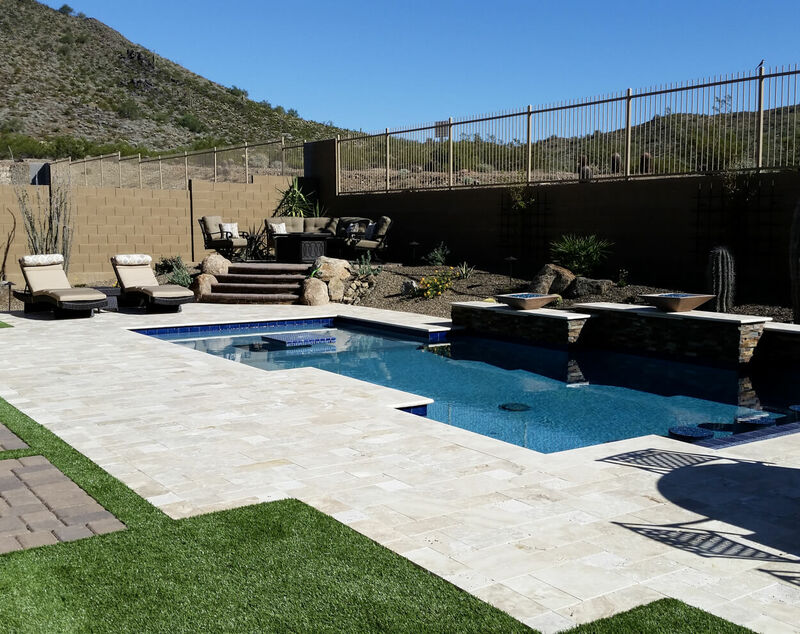 We look at the big picture of your entire backyard and create the oasis you imagine. With your pool dream team you won’t be bothered with minor issues that may arise. 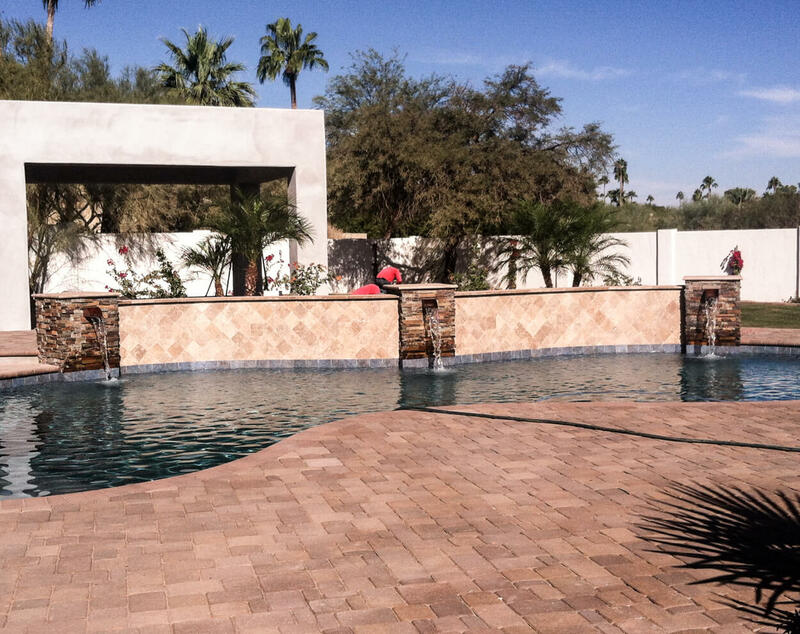 We will work with the pool contractor, and let you rest assured knowing the experts are taking care of everything. Because we are both smaller, family-owned companies, we have a similar project flow, and the partnership is seamless. We’ll integrate the spa of your choice into the design, and build it right into the landscape. Whether we build your spa into a decorative wall, or partially sink the spa into the ground, we’ll take care of all the details, and you’ll just have a relaxing space to enjoy. 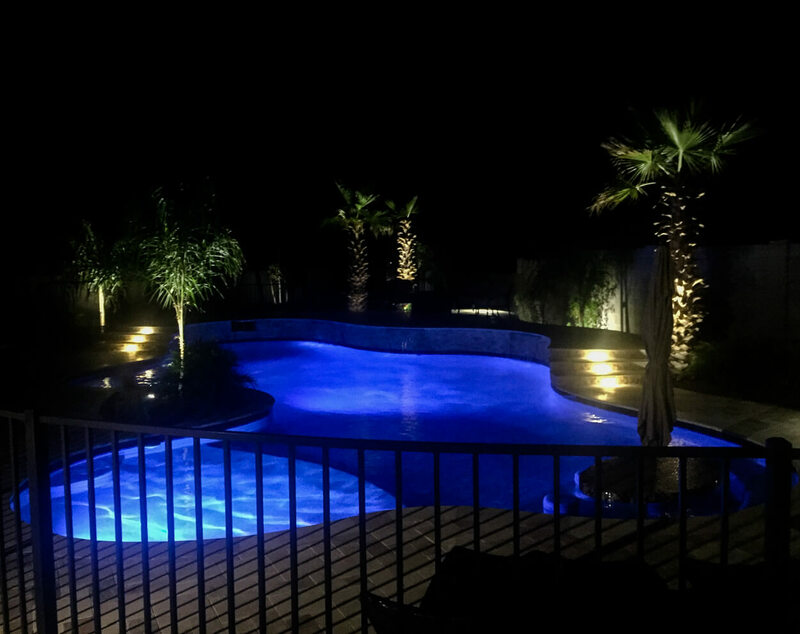 For more of a spa/entertaining space we can add seating and decking along with an innovative lighting concept to bring it all together. We can even create a design featuring a small lap pool that fits into your space. Working with the crew and supervisor was awesome. They bent over backwards to do it right. I never had to argue with them, haggle, etc. They were really easy to work with.